New taxi report proposes major changes to the industry, but fares won't budge. Photo by Janine Riviere from the Torontoist Flickr Pool. If you hop into a cab in Toronto and strike up a conversation with the driver about the City’s proposed taxi industry reforms, chances are you will get a very passionate response—the taxicab industry review launched by the City in December 2011 has raised a number of contentious economic and employment issues. On Thursday, the review’s recommendations were tabled in advance of a Licensing and Standards Committee meeting. Licensing and Standards meetings usually only get exciting when staff have to explain to councillors what a “champagne room” is or when the backyard chicken advocates come, but next Thursday’s meeting promises to be different. The taxi industry is big business: it involves more than $530 million in annual fares, over 4800 licensed cabs, and over 10,000 drivers. The report [PDF] put forward contains 40 recommendations, many of which, even those that simply preserve the status quo or call for regular reviews, will doubtless inspire debate. Institute a $25 “vomit fee” that will apply if the cab requires some extra cleaning attention after you use it. This is a common fee in other cities like Chicago and Vancouver. Allow drivers the right to charge a $25 reserve in advance of a trip in order to decrease the chances of a passenger not paying their fare. Make 6 per cent of taxis accessible in time for the Pan Am Games in 2015, and require that all new taxis be accessible. The goal is that the wait time for people with mobility disabilities will end up being the same as that for other users by 2019. Some of the most significant decisions are not really changes at all. 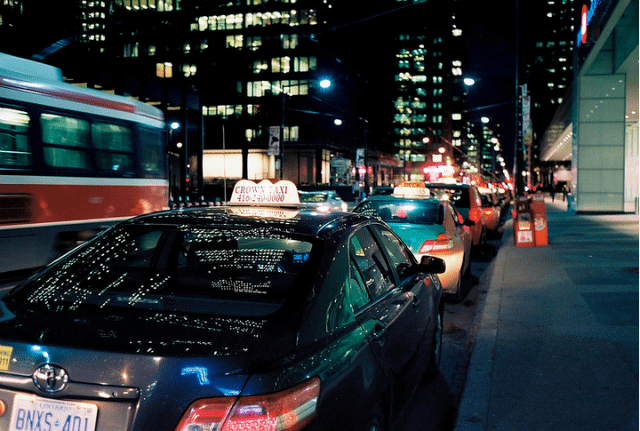 Toronto cab fares will remain where they are, and be reviewed in two years. The study looked into reducing the required “flag” fare from $4.25 to $3.25, and making up the difference by increasing the cost in distance travelled—this would have the effect of reducing costs for shorter trips and encouraging more trips overall. But despite the fact that Toronto taxi prices are among the highest in North America, and that Toronto cab prices have outstripped inflation by over 40 per cent since 1980, no changes will be made to them—the rationale being that the recommended changes will cost drivers money from the farebox, and cab drivers already avoid picking up some short-distance fares. So you’ll have plenty to talk about next time you hail a cab.